Join me this Saturday, November 26th, for one of the biggest kickoffs to the holiday season. For many of us, the most common Thanksgiving weekend traditions are usually: eating turkey on Thursday with family and friends, and then checking out the bargains on Friday. 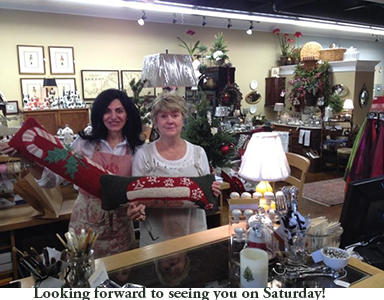 Don’t forget to add shopping at local small boutiques on Saturday! In just four short years, the Saturday after Thanksgiving has become a day where Americans can show their support of neighborhood businesses. The Small Business Saturday campaign was established by American Express in 2010 to encourage people to buy from independent retailers and other small businesses the Saturday after Thanksgiving. A growing number of chambers of commerce, small business organizations and local retailers around the nation are persuading shoppers to bypass the big malls, big-box stores and drop in to your local shops, right in our own backyard. This year, think about all the small businesses located in and around Alpharetta, Johns Creek, Milton and Roswell — independent bookstores, dress shops, children’s clothing stores, home décor shops and many more fantastic boutiques. Show your support by shopping at, these local, independently owned businesses. You will be buying locally, supporting independent retailers and reinvesting money into the local economy. The retail environment has really changed over the past 10 years; many people are buying online without even leaving their homes. If you appreciate having independent businesses around your community, you need to show your support of them. someone you love, that you just can’t live without! It’s going to be a day full of fun around town! Sooo….this Saturday as many of our independent merchants open their doors, greet them with hopeful success by shopping with them on Small Business Saturday. 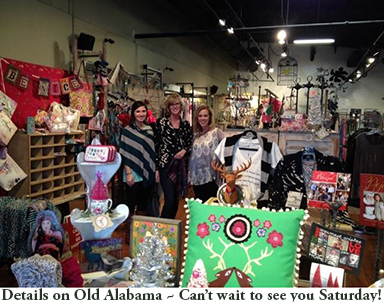 “Details” on Old Alabama Road ~ Kim is the owner and really knows the current trends!! 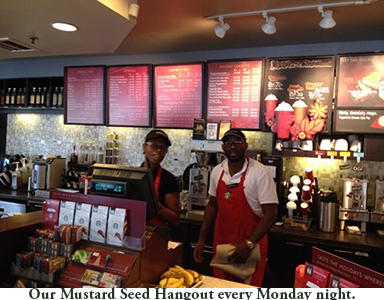 Johns Creek, GA Link for directions. 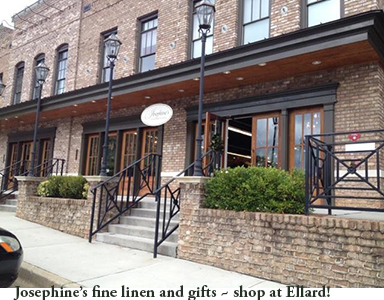 “Josephines Antiques and Fine Linens” – You’ll be WOW’ed by the beautiful gifts at Ellard!! 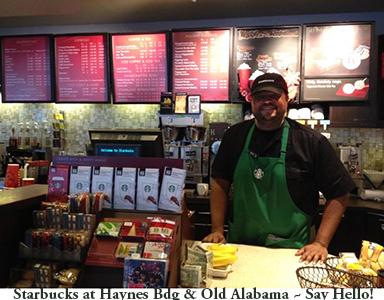 “Starbucks @ Old Alabama Rd & Haynes Bridge” … say hello to Dane the manager while you’re there! My husband on the other hand will be checking out Ace Hardware or some other local guy shop!! 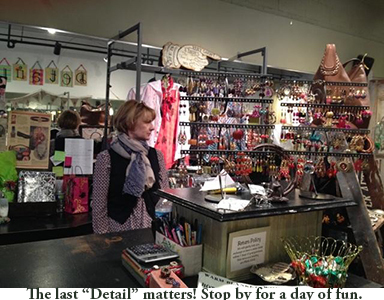 Follow this link to map out other local businesses participating in Small Business Saturday. Happy and Healthy Thanksgiving Holiday! Contact Janet Weidmann of the WOW Team to learn more about your neighborhood or the local real estate market .